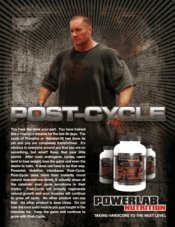 Editor's Note: Special thanks to Marzia for taking the time to speak with Muscle-4Life-Nutrition.com. All photos courtesy of Marzia Prince. Hello Fitness Warriors, Do I have a treat for you. I am beyond words to have had the pleasure to interview one of my all time favorite fitness Supermodels Marzia Prince. She is the epitome of health. 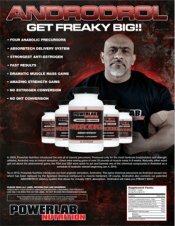 Eddie: Marzia, Welcome to Muscle-4Life-Nutrition.com. it's great to have you here! tell us a little about yourself and how you got started in modeling and the fitness world? Marzia: Well, I have so much to tell because I have been really busy! I have many titles and hats I wear these days. I am a fitness trainer, a life coach, IFBB Bikini Pro, a Gaspari Nutrition athlete, a wife, and a mother to my 3 furry little kids (my dogs). I have always been active since I was in high school. I ran track and played volleyball for four years. But, it wasn’t till I was in college that I discovered weight training. I took a beginning weight training class and that was it! I hired my first trainer at 24 years old and wanted to know everything there was to know about resistance training. At the time I was going to college to become a registered nurse and changed profession to become certified as a fitness trainer. It was the best thing that has ever happened to me! I started a little bit of modeling in my late twenties. I have to say, fitness is definitely the fountain of youth! Everyone thought I was 23 years old! I was like, “No, I am 28! Thanks though!” Then at 30 I decided to get in the best shape of my life and have a professional photographer capture me at my best body yet. Well, that was the photo shoot that started my fitness career! The Vice President of Gaspari Nutrition saw my pictures online on the photographer’s website and hired me right away! And you could say the rest is history!!! Yes, ladies, you can do this over 30! I still have a hard time believing all this! I am so grateful! Eddie: That is an awesome story and you deserve all the success in the world. Since you are a model and fitness competitor what has it been like to maintain your physique? Marzia: I am not going to lie, this is hard work! This is not a lazy man’s job. It is physically and mentally demanding. I always have to be in top shape, you never know when they will call you for a shoot. I keep a clean diet 90% of the year. I am finding out at 35 it is getting harder and harder to maintain my physique. So, I have to workout harder and longer to see the results I need. I constantly have to change my program up. Also, my nutrition is a huge factor in showing my hard earned results. I am a firm believer of you are what you eat. Eddie: People tell me all the time that "fitness models are lucky because of their genetics" I always say genetics is part of it, but without the hard work, sacrifice, and dedication they would not be where they are today. So thank you Marzia for clearing that up for us. Where do you reside and train at? Marzia: I live in Dallas, Texas. I train at a small personal training gym in Dallas, Texas. Eddie: Do you have a trainer or do you do it on your own? Marzia: I usually do it on my own but since I won my IFBB Bikini pro card, I decided to step it up a notch (or three! Watch out!!). I hired Layne Norton to coach me with a different training program. I need the change for my body. Wait till you see me for my pro show next year. I started training now for it 5 weeks ago. I believe at 35 I will be in the best shape of my life ever! There is a fire burning inside of me that keeps me going! It’s been an awesome personal journey with myself, I have really grown as an individual. I have to say, I love the challenge! Eddie: You are in great hands with Layne Norton. I can't wait to see your next pro show, Your physique rocks now, I can't even imagine how it will look at the show. Can you say "WINNER" What is your training philosophy? As a trainer, I have helped many individuals change the quality of their life by educating them on the proper nutrition and exercise. They also become younger looking, stronger, and have more energy. It’s a win win for everyone. I love my job! Eddie: I am sure it is motivating to have Marzia Prince as your personal fitness trainer. That would give me "The Get Up And Go" to attend every workout LOL. What does your current training workout look like? Marzia: I am currently 5 weeks in an 11 week muscle building phase. Then I will start prepping for my pro show. I am going to have my own reality show on my website that shows me prepping for my competition on my website. It will show me in the gym, prepping my food, picking out my bikini, weekly progress/pictures/stats, secrets of the bikini pros, and a few of my own little secrets too! Viewers can go to www.marziaprince.com to see this. This will start in 6 weeks. So viewers can see me go through my own little transformation and journey. I wanto to show the viewers how hard I work out to get my physique. Eddie: Interacting with all your fans. That is a great idea! Is this training routine something that our readers can use to build muscle and lose body fat or is this something that is more suited for an advanced athlete? Marzia: This is something suited for the advanced athlete. I wouldn’t not recommend it to a beginner or even an intermediate. Marzia: Clean eating comes natural to me. I love eating healthy because it gives me so much energy. I love feeling strong and thinking with a clear head. But when it comes to having a treat on a special occasion, I am finding out after cutting sugar out of my diet for so long, that when I eat it, I crash hard. Within 15 minutes I want to go pass out, it makes me so tired. Trust me, I have a bad sweet tooth but it isn’t worth it anymore. So, I try to come up with nutritious recipes that don’t have sugar. I have a cookbook coming out soon that includes all types of fun, yummy recipes that are good for you. Eddie: With both type 1 & 2 diabetes being an epidemic in the United States, this is one cookbook that is a must for children, young adults, and seniors alike. Give me an example of your diet. What do you normally eat each day? Eddie: I love Greek yogurt!! If you could thank one person for helping you reach your professional and fitness goals, who would it be? Marzia: If I could thank one person, it would be my husband. He is my biggest fan. He has been there for me throughout my whole journey. I am so blessed to have such positive reinforcement from him in both my personal training business and my fitness modeling career. I couldn’t have asked for a better partner in life. He helps me grow as an individual and I can’t wait to see what the future hold for us! Marzia: Supplements are very important. It helps take your body to the next level when food can’t take you there. I have my own stack with Gaspari Nutrition. It is called The Marzia Prince Ladies Lean and Fit Stack. It consists of my three favorite products from Gaspari Nutrition that they decided to name that stack after me! I felt so honored. 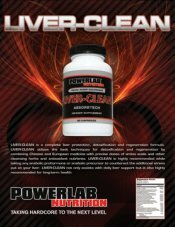 It consist of Cytolean V2 (the ultimate fat burner! ), IntraPro Whey Protein Powder (for muscle recovery), and SuperPump 250 (you won’t want to workout without this! Right now since I am in off season training, I am not taking Cytolean V2. I will take that when it comes time to get ready for my competition. I am taking SuperPump 250 30 minutes before my workouts to give me energy and mental focus. Then, I take IntraPro Protein right after my workout with yogurt and a piece of fruit to repair the muscle. I did all that hard work, I am keeping it! The proper supplements give you that extra edge to your training! 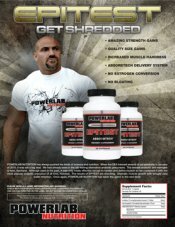 I definitely feel like these 3 supplements have helped my physique! You can go to my website www.marziaprince.com or www.gasparinutrition.com to learn more! "Muscle-4life-Nutrition is a one stop shop to meet all your fitness lifestyle needs! From great products to educated fitness professionals, what more can you ask for!" Eddie: Thanks Marzia! Our customers love The Marzia Prince Ladies Lean and Fit Stack. These three products work synthetically to help you achieve your fitness goals. We added a youtube video at the end of this interview, where Marzia speaks about The Marzia Prince Ladies Lean and Fit Stack. What advice would you give to someone who has tried a number of weight loss programs with no success? Marzia: I always tell this to my clients, my favorite saying…Fitness is not a look, it is a lifestyle! You have to find balance. You can’t keep looking for the next fast fix it program. It takes time. You have to educated yourself and stick with it. Find a program that you can grow to love and that works for you. You have to be consistent. Many people can’t stick with it and blame it on the program when actually it was them that failed. I educate my clients to lead a clean lifestyle. Free of processed foods and chemicals. People have been brainwashed for years over the years from false advertising that they don’t know what a nutritious meal is. I believe it’s about being educated. Eddie: I couldn't agree with you more. Why would anyone put Processed foods and chemicals in their bodies and whats worse in their children's bodies. What has been your stepping stone to get where you are today? Marzia: My stepping stone was being signed with Gaspari Nutrition. 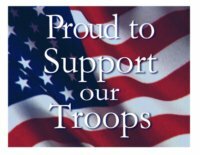 I can’t thank them enough! Rich and Liz Gaspari have been really good to me. Also, I can’t forget the VP of marketing for Gaspari Nutrition who discovered me, Joe Volgey! Everyone at Gaspari Nutrition has been wonderful. I am having the most amazing time in life! Word can’t even express my gratitude toward them. They are like family to me. 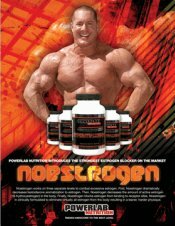 Eddie: Gaspari Nutrition is a great company! Where and when is your next modeling, acting project or competition? Marzia: Well, I have had a busy year. I have been going since January non-stop! Ever since I won my IFBB Pro card, the work is coming in more now than ever!! I just finished up my year right now. I have done some exciting projects. I paired up with Power Music and we are releasing a Bikini Body workout mix. I shot 5 Bikini Body workout podcast with them. It will be released on iTunes at the end of November. You can also get them at my website www.marziaprince.com and www.powermusic.com. The Bikini Body workouts are for every fitness level. It will show you ladies how to get that perfect bikini body! Also, I will be a fitness celebrity judge on The Ultimate Body reality show. We are auditioning for that right now. We did our first audition in Orlando and it was a blast! You can go to www.theultimatebodytvshow.com to learn more. I recently shot for Muscle and Fitness for Hers. It will be out next year. It will be the 2010 March/April issue. Right now, I am taking some time off to be with family, focus on my personal training business, and my own training for my first IFBB Pro show. The madness begins in January! ;) Marzia: We have been together for almost 7 years. Eddie: Busy year! That is an understatement. You are a lady on the move. I can't wait to check out www.theultimatebodytvshow.com sounds cool. So we know you are married, sorry guys lol. What has modeling taught you thus far? Marzia: It has taught me to be confident. To love my body no matter what anyone else thinks. If you’re confident it will reflect in your pictures. I love that fitness modeling has different body types and that you can be any age! You can even be 50! Look at Tosca Reno! She is amazing. I feel like my life has just begun! Can’t wait to see what the future holds for me. I am loving my thirties. Eddie: I can tell you this we all will be watching out for you. What was the hardest thing for you to over come when you first started modeling? Marzia: Well, I started modeling at 30, so I pretty confident going in. I worked hard for my physique. So, the modeling part wasn’t hard it was fun. It was what other people said about my images that I had to learn to ignore. There are always some people that will give you negative feedback. I just dismiss it and move on. I have learned everyone has an opinion good or bad. This is MY life and I am going to live it! Over the years I have found out there are 4 different types of people out there when it comes to modeling. 1. There are those that love you. 2. There are those that hate you. 3. There are those who could are less about you. 4. There are those who don’t even know who the hell you are. Someone is going to fall in any one of those categories and that’s fine by me! It has definitely given me tough skin or I wouldn’t have survived this far! Eddie: How can anyone dislike you? Sounds like there are some haters in the house! 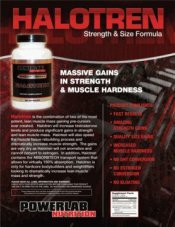 Well Muscle-4Life-Nutrition.com falls into category one, like we always do #1. We love our Marzia! Who has been the most memorable person you have enjoyed working with? Marzia: Wow, there has been so many! I can’t just name one. I feel like each shoot I do, every appearance I am at, and every project I do, there are always so many wonderful people involved in the process that make my job enjoyable. I love my job! Marzia: I want to give a shout out to my husband for being my rock, to Joe Volgey for discovering me, to Rich and Liz Gaspari for believing in me, to my clients for putting up with my busy schedule, my good girlfriends for being there for me, my fans who support me, and my 3 furry little kids who are always happy to see me when I get home. I am blessed to have these people in my life! Marzia: I can’t give it all away. I have some BIG projects in the works. But, I will give you some of my 2010 plans! You will see me on stage a lot! I will be doing a few pro shows. Don’t forget to check my website to see me train week by week for my very first pro show starting in January. I will be releasing more Bikini Body workout and nutrition podcasts. I will be doing many appearances, so be on the lookout! I may be coming to a hometown near you! I know that I will be at the 2010 Arnold and the Olympia. Don’t forget my Muscle and Fitness for Hers will be out in March/April! I will also be coming out with a book and cookbook too! Marzia: Wow, there has been so many! I can’t just name one. I feel like each shoot I do, every appearance I am at, and every project I do, there are always so many wonderful people involved in the process that make my job enjoyable. I love my job! bikini body, I can help you! Trust me, I know first hand! My body is my job! On the other hand, I am involved in charity and volunteer work. I feel like it is important to help the community and others around you. It makes for a well rounded person with a good heart. I always feel good that I can help someone in need out. If you haven’t tried it, please do. It will change your life for the better. Eddie: Anything else you would like to add? Marzia: Thank you Eddie for interviewing me. It was a pleasure! And thank you for those of you who read this! Please stop by www.marziaprince.com to see updates, recipes, and projects I have going on! Your Welcome Marzia, I also want to take this time to thank you. You know at the beginning of this interview I said you are one of my favorite fitness models. After getting to know you and seeing what a intelligent, motivating, and caring person you are, I have to say you are my #1 fitness Supermodel. Thanks again and God Bless.